Good News! 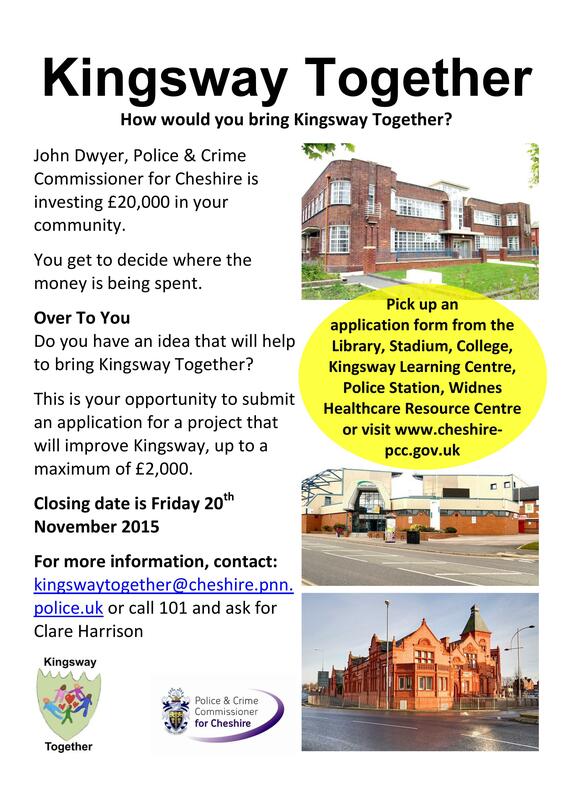 Kingsway Ward has been awarded a £20,000 Participatory Budget from the Cheshire Police and Crime Commissioner. Participatory budgeting directly involves local people in making decisions on the spend and priorities for their area. I’ve been working on this project for a couple of months and I’m part of the organising steering group of Kingsway Together. Residents, community groups, schools and other organisations can apply for up to a maximum of £2000 per project, maximum two projects. The criteria is that the project must benefit Kingsway Ward Residents or the Kingsway Ward itself. There are some other basic criteria, such as the budget cannot fund on going costs. 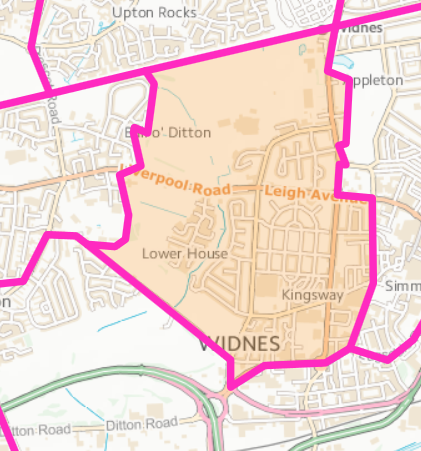 During the next week, application forms will be delivered to every home in the Kingsway Ward, they’re also available to collect from Widnes Library, Kingsway Learning Centre, the Stadium, Riverside College and the Healthcare Resource Centre. Information will be available to be viewed on the Police & Crime Commissioner’s Website. You can also download an application form by clicking on the below button. The closing date for applications is Friday 20th November 2015, then between Monday 14th December 2015 and Monday 21st December 2015, Kingsway Ward residents will be asked to vote on which projects they want to be funded from Kingsway Together, so it will be entirely in your hands. There is more information on the below poster and a map showing the ward boundaries.